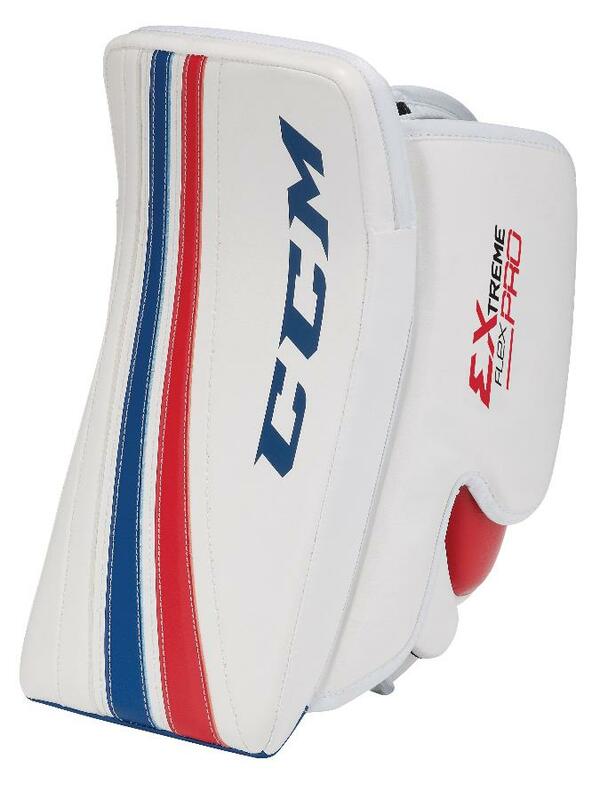 CCM E Flex Pro Blocker | Sports Etc. COVERAGE Bindingless blocker face maximizes blocking surface to cover more net and enhance performance. MOBILITY Adjustable cuff allows a larger opening for increased wrist mobility for stick handling and playing the puck. BALANCE Offset palm position for optimum weight balance allows better mobility and superior control. PROTECTION High-density foam provides extreme protection plus additional blocking surface to improve performance. A bindingless blocker face maximizes the blocking surface area to give goaltenders the extra edge they need. The offset palm position gives optimum weight balance. An adjustable cuff allows a larger cuff opening for increased wrist mobility. High-density foam provides extreme protection plus increases the durability of the blocker. Sports Etc Performance To Value Rating– 9 out of 10- Highly durable blocker with an adjustable cuff for increased mobility.